The Rebel Sweetheart. : All the Information You need to start a Karaoke Business. All the Information You need to start a Karaoke Business. Karaoke continues to grow in popularity, and you will be surprised how many places there are to enjoy this activity. Whether you enjoy singing in the shower, or want to take your singing further karaoke can be your doorway to stardom. The world of karaoke has become incredibly lucrative, and there are many different ways to be involved. Karaoke bars and clubs are opening everywhere, and you will soon discover that they are enjoyed by millions of people all over the world. If you enjoy the fun and entertainment karaoke brings, you may want to consider setting up your own business. If you enjoy singing, and entertaining people, whilst enjoying the talents of other people, the karaoke business may be ideal. There are several different ways that you can get involved with a Lucky Voice karaoke business and ensure that you begin your journey with all of the information. You will need capitol to start your business, and this can be a large amount, depending on the way you want to operate. The equipment that is used is not cheap; however, you can make money instantly. 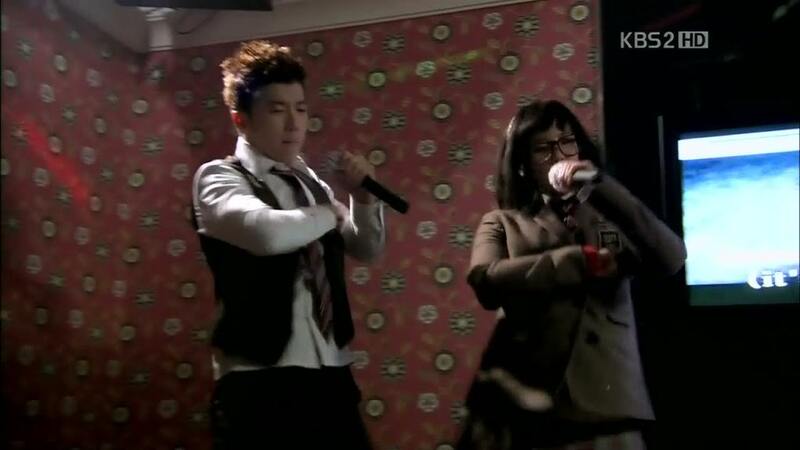 Wooyoung and IU in Dream High. Lucky Voice is a dedicated business that wants to ensure that you enjoy the franchise opportunity that they have on offer. You need to decide how you will market your business, and where you want to operate. New businesses can struggle, but if you have a passion for what you do, it can be an enjoyable experience. You may have a venue in mind for your karaoke business to thrive within, or you may want to hit the pavement and promote yourself everywhere. Regardless of the marketing plan that you have in mind, you will need to put effort in, and ensure that you have flyers, business cards, and information to hand. Promoting your business is essential, and will make a huge difference in the future when you need work. Once you have established your business, you will be amazed how many people recommend what you do to entertain keen singers. There is a singer in everyone, and you will be amazed how many people want to sing at every opportunity. People want to experience a fun night out, and karaoke provides a fantastic entertainment value. It may take you some time to become established, but once you are known for providing the best karaoke available, you will be busy with work. Whether you want to be based in one place, or become a mobile karaoke entertainer, you will need to remain up to date, and ensure that you have the latest tracks. People will want a huge selection of songs, and there is nothing worse than not having the song. You will be amazed how easy it is to go from karaoke singer, to business minded karaoke operator, and enjoy your job. Everyone wants a job that they enjoy, and deciding to own a karaoke business may be a step in the right direction. You can take your hobby and turn it into a successful business, which is appealing for many.